I was on a roll until I got to the 5th strip to join. This is the strip just below the top strip. On all of these strips I had at least two inches of batting sticking out as well as backing like this. 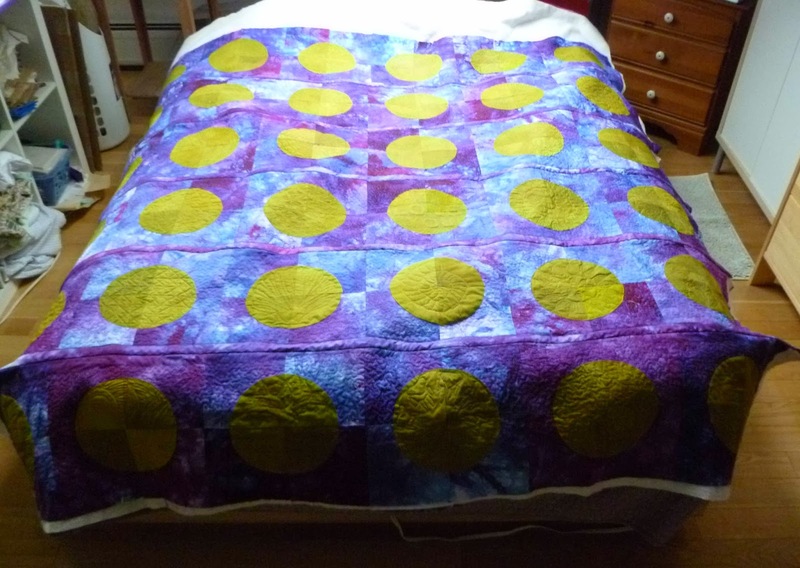 The 5th strip not only didn't have batting that stuck out beyond the quilt top but didn't even go to the trim line of the fabric. I will have to add some thin strips of batting or else there will be a void in the thickness. I can't even imagine how this happened. After getting the strip of batting to stick to the fabric using a glue stick, I carefully trimmed the excess batting away and ironed it flat. In the other area where the batting was short. 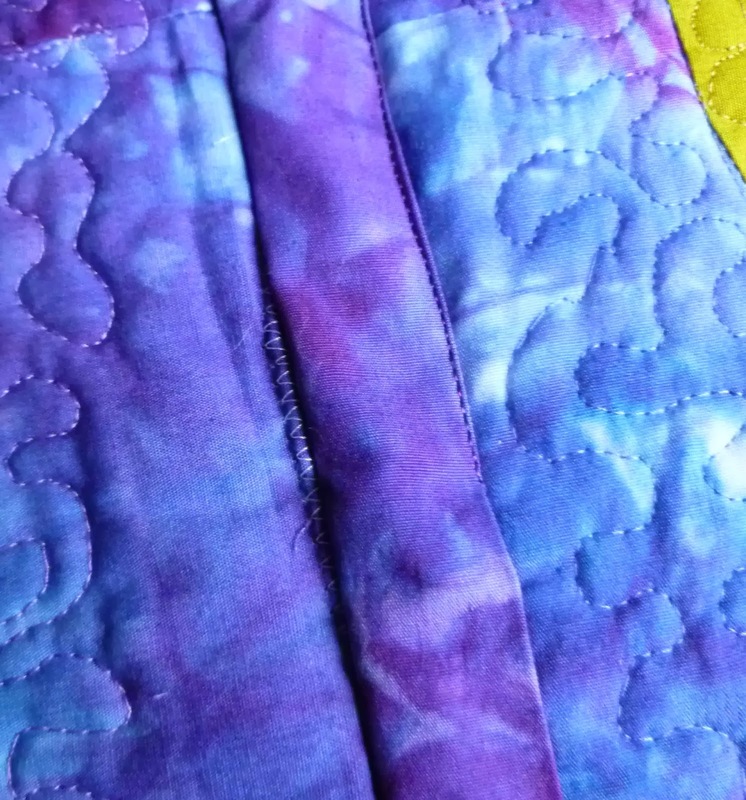 I used a zig-zag stitch to join it. 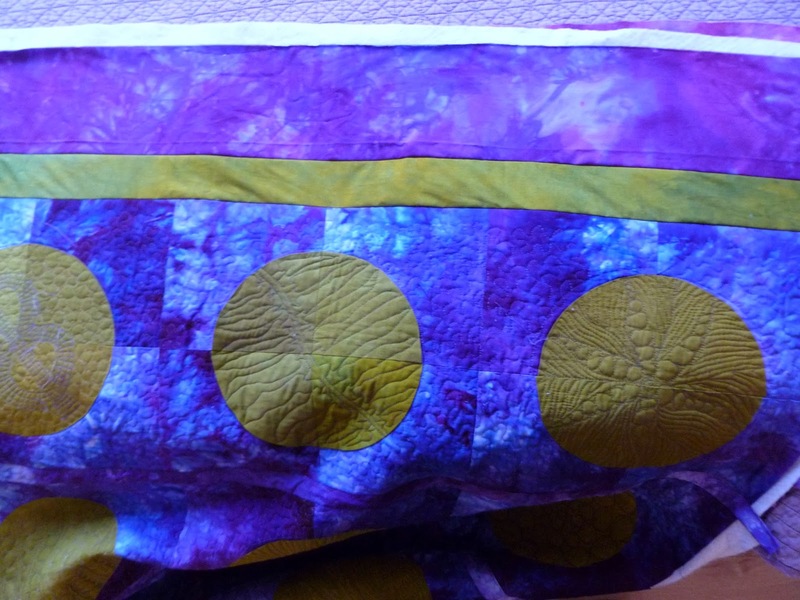 Later I realized the stitching showed on the quilt front. 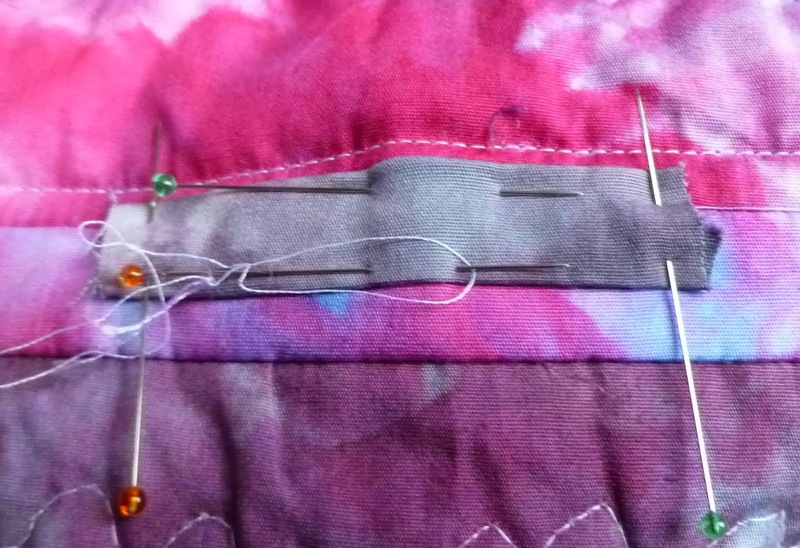 After the front joining strip was stitched down I was comfortable removing the zig-zag stitches showing on the front. 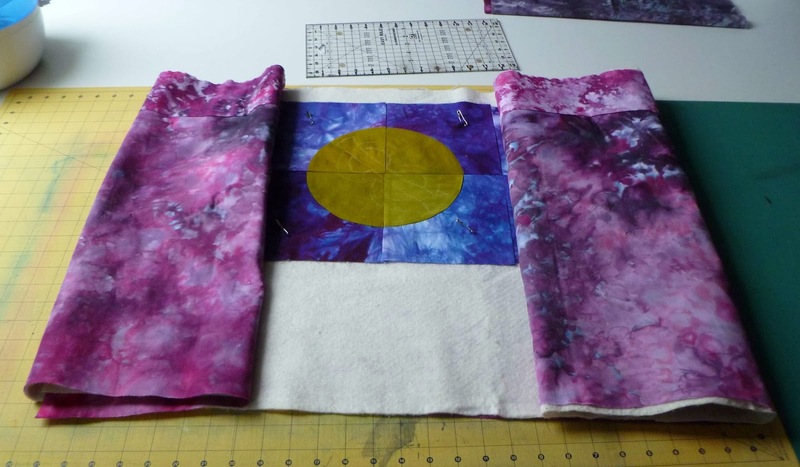 Now all the strips were joined and I could start on the quilting of the front strips. 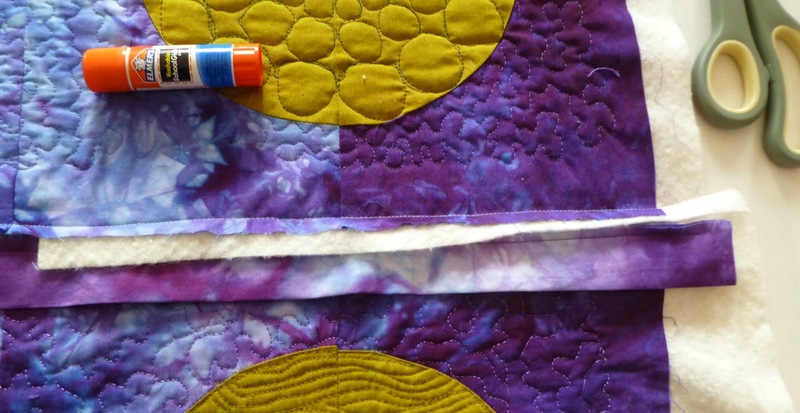 I had left this wide margin of unquilted strip thinking I was supposed to join only the fabric. Again, this was because I had not read my own tutorial - sigh. 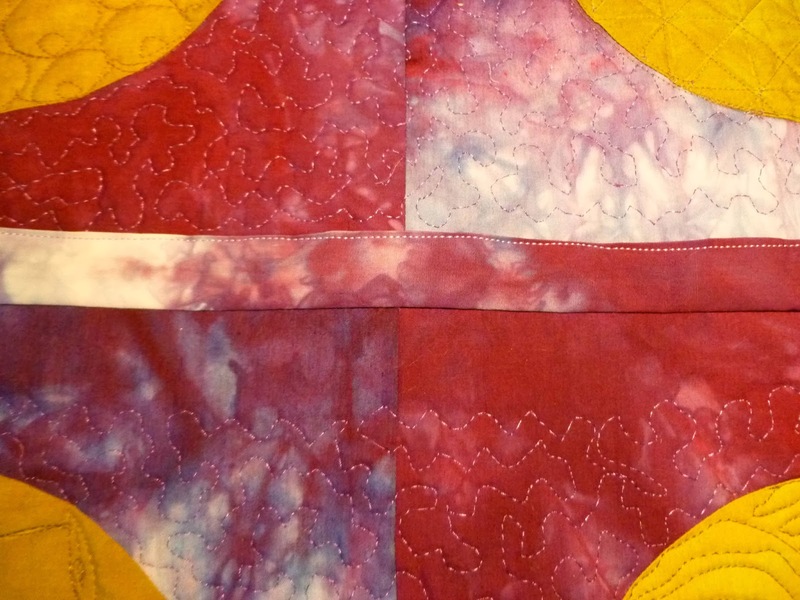 I still would have had to do something with the actual strip whether I had quilted to the edge of the strip or not so I guess this "looks better". 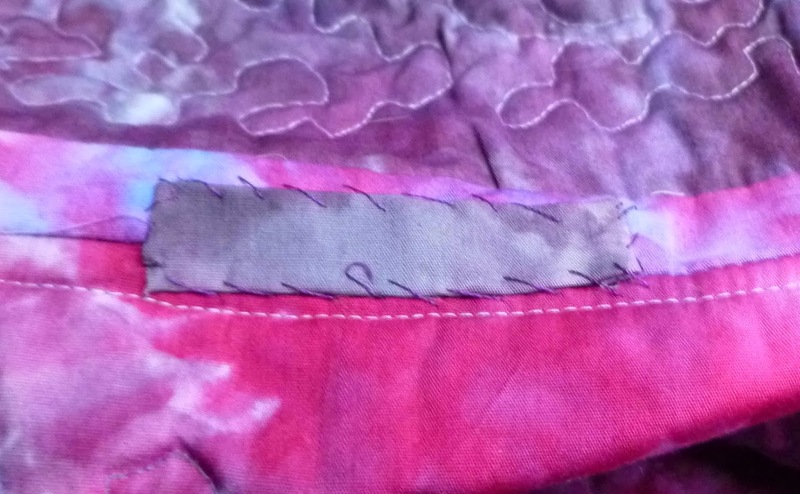 There was one spot where the seam was open on the backing so I hand stitched a small "patch" to hold it in place then just quilted over the front. The open seam did not show on the front, only the back. It was about 1/4" but I was not taking any chances. 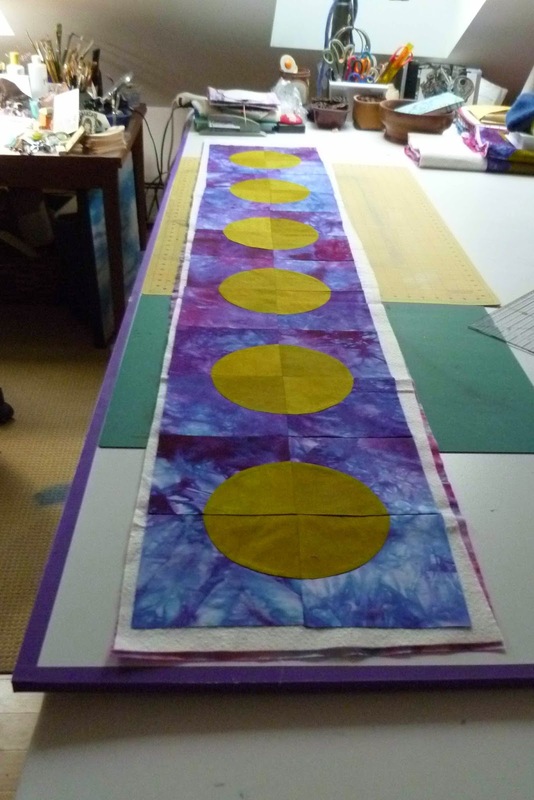 The quilting of the narrow area ( 6 feet long though) took a LONG time. First the old Bother didn't want to work on fabric that thick. Then the NEW Janome Horizon just refused to work at all so I was back to my big Brother. I adjusted the upper thread tension and it worked a treat!! All done but it took hours! Now it was time for the border. On strip 6 ( actually the first strip I made) I had allowed a huge flap of batting and backing. I had to add batting and backing to the opposite end but it came out fine. Today is over for me. 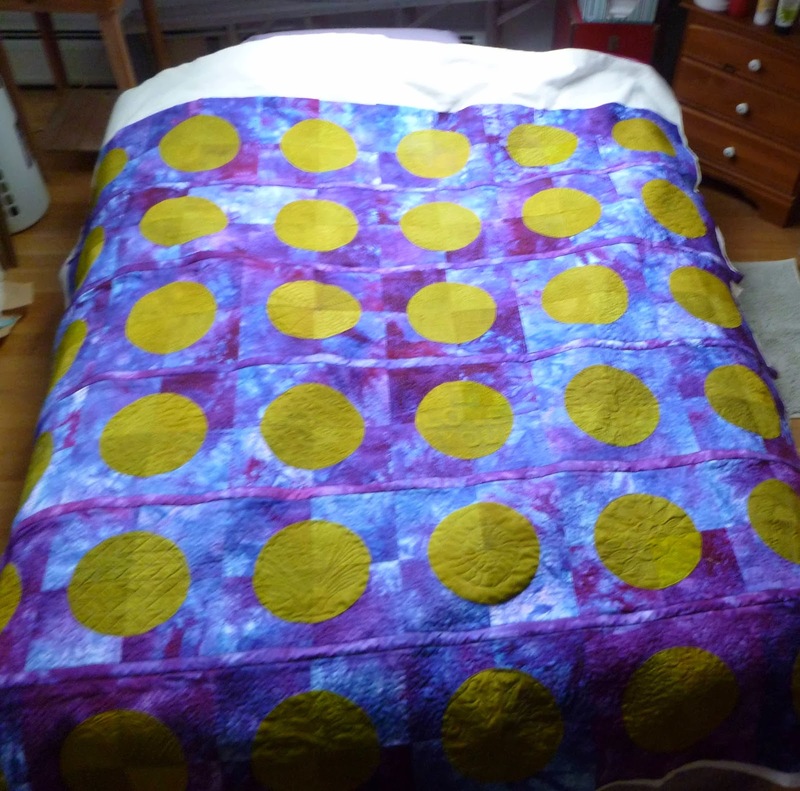 I am exhausted dragging that heavy quilt around trying to sew while eliminating the weight (pulling). 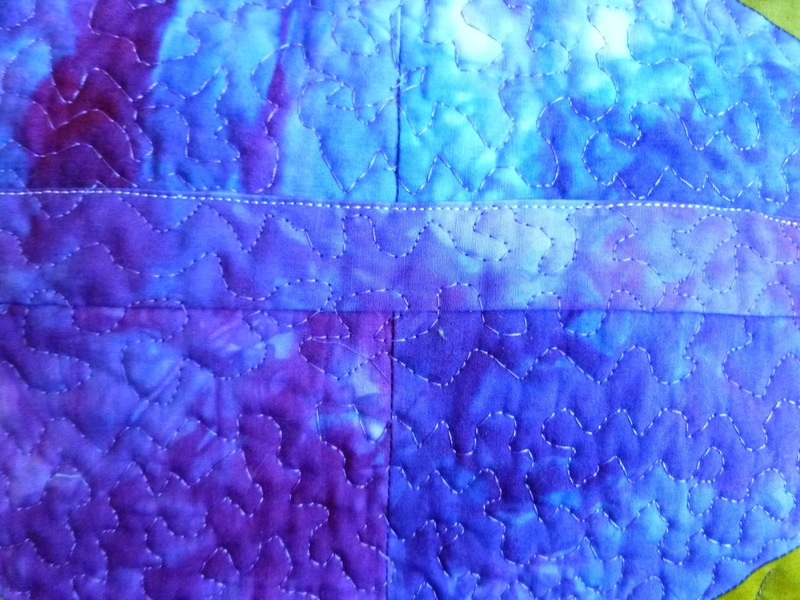 Tomorrow I will have the border strips on all four sides and have them quilted as well. I may or may not have the binding on. We'll see. 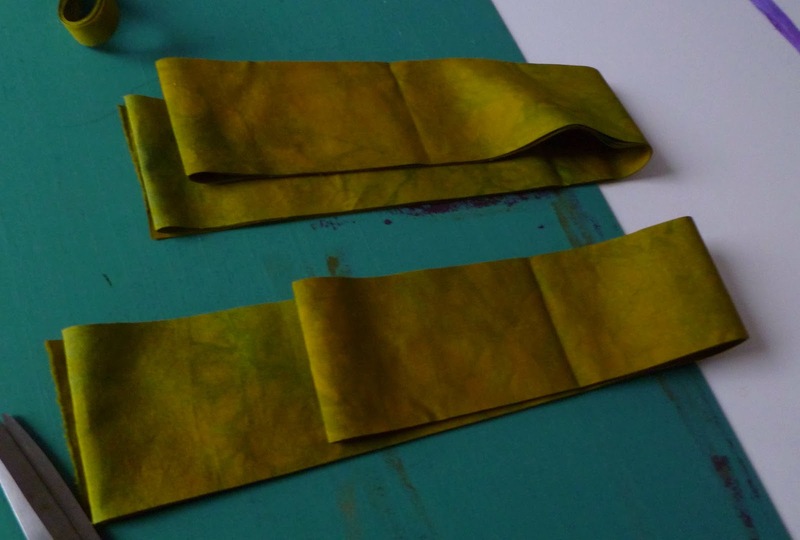 However I am doing a tutorial on the most exciting way for making bias strips I have ever seen. 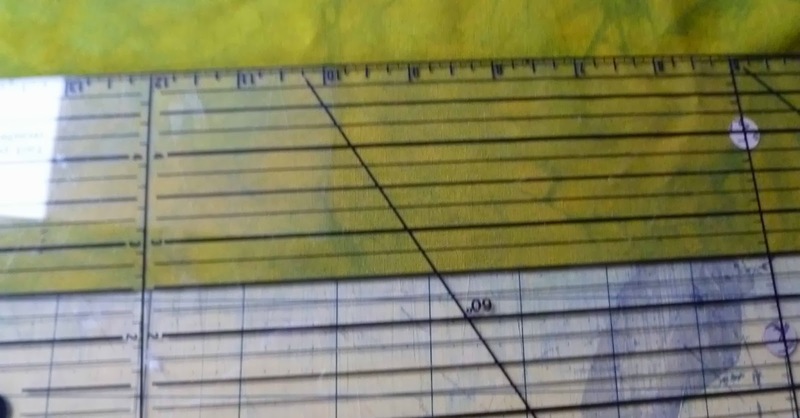 Now I do live a solitary life and everyone in the world may know this method of making massive amounts of bias tape but I kind of doubt it so don't forget to stop by an see the tutorial. It will be a great work and I congratulate you on your creative energy. Lots of troubles. I hope it will be finished soon and you are pleased with it.